I love Melbourne! One of the great cities of Australia. 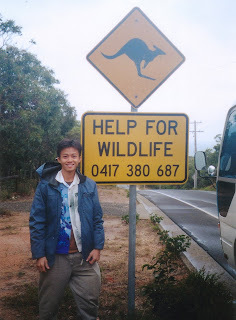 Some locals dubbed it the fashion capital of Australia. I couldn't disagree. Located in the State of Victoria, Melbourne is the second most populous city in Australia, with a metropolitan area population of approximately 3.7 million. 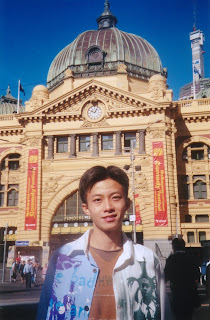 At 20 years old at that time, I flew to Melbourne by myself. My sister then decided to join me a few days later. 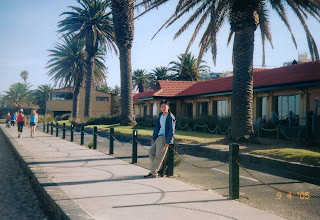 I stayed in Claremont Hotel, which is located in Toorak--the rich man's suburb. The good thing about this place is that it is only a street away from the most popular (and most expensive) shopping district in Melbourne--Chapel Street. This street is lined up with many designer's boutiques, consisting a nice mix of local and foreign labels. You will need extra cash if you intend to shop here. Of course, if you are looking for an alternative, you can go to Richmond , where all the factory outlets are. There you can really do some serious shopping. Getting around Melbourne is easy. They have the train, the tram, and the bus. The tram is particularly cool because not many cities have that now. There is one train station in the heart of the CBD that is really beautiful. It is called Flinders' Street Station. (see picture left) It is one of the oldest station there as well. Another thing I like about Melbourne is that most of the locals are really friendly. I could almost strike up a conversation with anyone, anywhere. Other places that I found interesting were Queen Victoria Market, Federation Square, Albert Park (site of the Formula 1 grand prix), and St Kilda's Beach (another romantic place). There was one night when I was chatting with a local and he recommended me to go to the toilet of Sofitel Hotel. The TOILET!? I followed his instructions to 30-something floor and I was impressed. The side of the toilet facing the Melbourne City is a full-length glass wall. Beside it was the urinals. So now you can p ee and look outside the city at the same time. Quite a nice view, I must add. The last night of my trip, I got to stay over in a true Aussie house. My former Discipline Mistress, Mrs Anil, migrated to Melbourne a few years earlier with her husband. She lives in a nice house in the suburb of Croydon. Country style furnishing and a laid-back atmosphere filled the house. The kind of place my father would like. We had a Aussie style BBQ, which they call it Barbie. And by the way, the BBQ grill uses gas to cook! No charcoal needed! Melbourne is a vibrant and multi-cultural city. I love the architecture there. R eally beautiful. I think that Melbourne is a romantic place to go to, and of course it can't be compared to the likes of Paris, but it is romantic nonetheless. 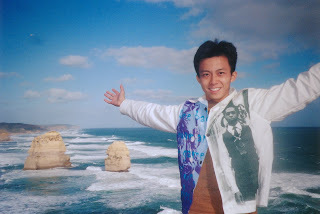 Do travel to Melbourne and explore the place if you are thinking of which city to visit on your next holiday. And I can promise you that Life Will Never, EEE...EE...EVER, Be The Same AGAIN!